In order to enhance user involvement in financial services, this paper proposes to combine the idea of adaptive personalisation with intelligent virtual agents. 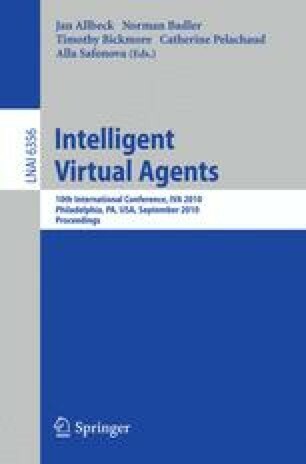 To this end, a computational model for human decision making in financial context is incorporated within an intelligent virtual agent. To test whether the agent enhances user involvement, a web application has been developed, in which users have to make a number of investment decisions. This application has been evaluated in an experiment for a number of participants interacting with the system and afterwards providing their judgement by means of a questionnaire. The preliminary results indicate that the virtual agent can show appropriate emotional expressions related to states like happiness, greed and fear, and has high potential to enhance user involvement.